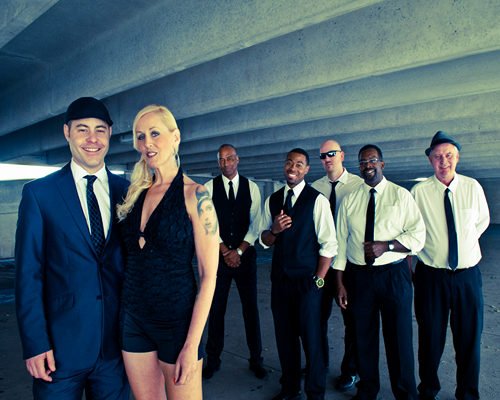 The Uptown Band is one of the country’s most-requested and versatile acts. With an ability to play virtually any type of music, their shows include something for everybody. Since the release of their stylistically eclectic, critically acclaimed full length album debut Waiting For Her in 2010, they have gained recognition both nationally and internationally. TV-wise, they have performed twice on NBC New York’s former Late Night talk show “All Night With Joey Reynolds”. In addition to having their own listing on Pandora Radio, their songs can be heard on the National TV cable system Music Choice and DMX Satellite Radio. In the U.S., their music has been featured on numerous terrestrial radio stations in such markets as Quad Cities, Iowa (KMXG 96.1 FM) and Chicago, where WLFM 87.7 FM spun their holiday recording “Merry Christmas Baby.” Performance credits include recent shows in Reno, Virginia Beach, and as the opening act for Comedian Jeff Dunham. As leaders of the group, Erich and Jenifer are also off-stage companions, getting married on stage in front of over 1000 surprised hometown fans in Shillington, PA in June 2010. While Erich likes to compare the relationship and performance style he and Jenifer have to iconic musical couples of past eras like Louis Prima and Keely Smith and Sonny & Cher, the vibe they create with The Uptown Band—while drawing from old school jazz and soul elements—is hip, cool and contemporary.